Acne. There’s a lot of stigma surrounding the four letter word. It’s somewhat shocking, really, considering the stats: approximately 85% of people between the ages of 12 and 24 will experience some form of acne. Despite celebrities shedding light on the topic and the societal move towards body positivity, acne is still a large insecurity for many sufferers. If you have acne, chances are you’ve probably comes across the term Accutane amongst a long list of quick fixes that include everything from DIY home remedies like using toothpaste and aspirin (don’t do either of those, btw) to multi-step treatment systems like Proactiv. But what is Accutane? It’s neither a miracle pill nor a drug that must be avoided like the plague. In reality, Accutane (Isotretinoin) works at the level of the pilosebaceous unit to decrease sebum (oil gland) production, and for some, the results can be life-changing. That being said, it is a serious drug and one that shouldn’t be taken lightly. While there are many benefits, there are also many potential risks that must be considered. 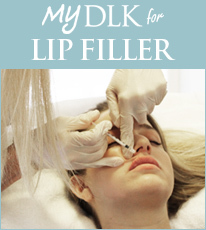 To help shed some light, we’ve spoken with DLK on Avenue’s expert dermatologist, Dr. Lisa Kellett. Read our interview below to see what she had to say about the controversial drug and things you should consider before going on it. Do I need to speak to a dermatologist first? When’s the best time to start the medication? Can I still use other medications? Can I use Accutane to treat other skin conditions?